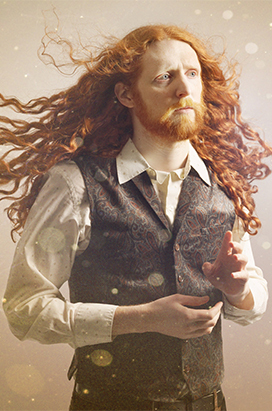 His debut solo show The Alasdair Beckett-King Mysteries was a finalist in the Amused Moose Comedy Award 2017. It made Dave’s top 10 jokes of the fringe, and went on to sell out at the Soho Theatre. ABK is a literal Renaissance man. A man for two seasons (autumn and winter). A stand up comedian and animator, ABK has written and performed for BBC radio, and for several indie video games. His stand up clip for ‘BBC Scotland Short Stuff’ went viral in 2017, with over 2 million views, and you wouldn’t believe how little that impressed his dad. Alasdair is currently writing his second solo show, and developing a sitcom with Rockerdale Studios, the production company behind ‘Bobby and Harriet Get Married’ on Sky.